McStorytellers is a website dedicated to showcasing the work of Scottish-connected short story writers. By October 2012, two years after our launch, we had provided free access to some 400,000 words in 250 short stories by 50 contributing authors or McStorytellers. To celebrate our second birthday, we have published the follow-up to "The McCollection", our bestselling maiden anthology. The new anthology also celebrates our highly successful collaboration with the inaugural Edinburgh eBook Festival. 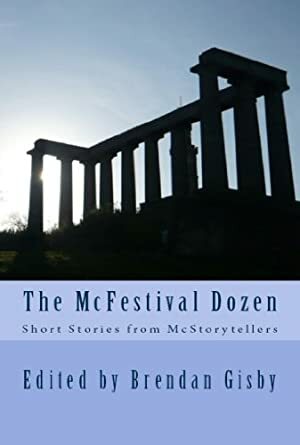 Called "The McFestival Dozen", it brings together all twelve of our stories that were featured by the Festival during August 2012. In a stirring introduction to the anthology, author and playwright Cally Phillips, the Festival's Director, says: "You will find, contained within these pages, stories to make you laugh, cry, or express anger and joy and sometimes simply stand back in awe (or horror!). They are the heartfelt words of twelve Scottish writers, unmediated. I hope you enjoy and/or are moved by this collection." Log In to track Various on eReaderIQ. to be notified each time the price drops on any book by Various. The price of this book has changed 22 times in the past 2,006 days. This book has been $0.99 12 times since we started tracking it.